Welcome to the Crazy Crafters Blog Hop with our Special Guest stamper, Paula Dobson - we are thrilled to have Paula join us this month and so excited to CASE (Copy And Selectively Edit) any project that has been created by her . We hope you find great inspiration from the projects. 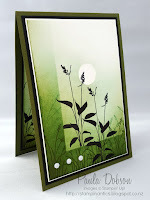 These are the cards by Paula that I have chosen to CASE - mine uses elements from both of them. 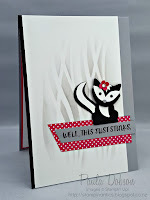 I used the Starlight Thinlits dies and some scrap paper to create some masks then sponged with Crumb Cake ink. I removed the masks and then positioned a rectangle of cardstock to create another mask and sponged around it with Real Red ink to create the red border. 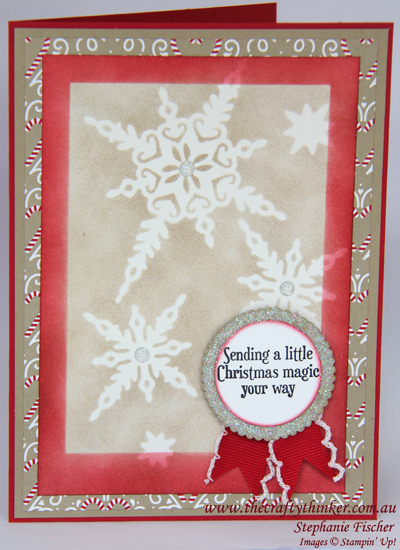 There are layers of Candy Cane Lane DSP, Crumb Cake and Real Red cardstock. 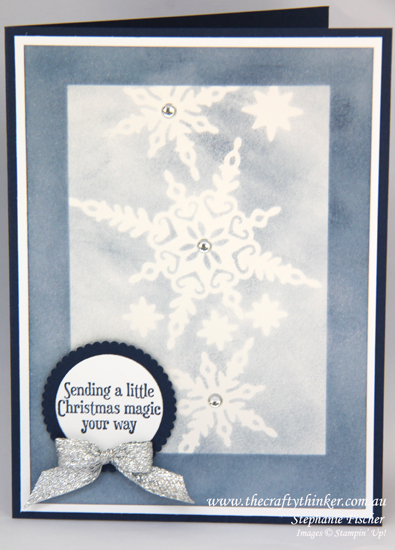 The greeting is from the Christmas Magic stamp set, cut out with one of the Layering Circles framelits and edged with Real Red ink. I adhered that to a larger layer cut from Crumb Cake cardstock with one of the scalloped Layering Circles framelits. I applied some glue to the Crumb Cake layer with the Fine-Tip Glue Pen and sprinkled it with Dazzling Diamonds glitter. I adhered a piece of Real Red Stitched Edge Ribbon to the back and then used Dimensionals to stick it onto the card front. As a final frosty touch, I applied some glue to three of the larger round silver enamel shapes in the Metallic Enamel Shapes pack, sprinkled them with Dazzling Diamonds and, once dry, applied them to the centres of the snowflake images. I also made a monochromatic version using Night of Navy ink.